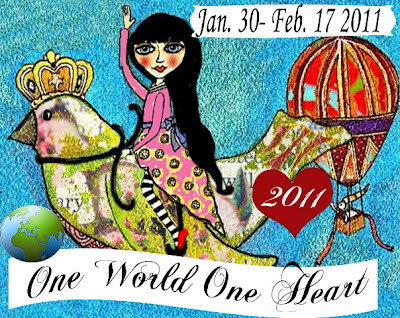 I'm joining in on the One World One Heart Blog event again this year. It's my second year. I had so much fun last year I decided to do it again. You can click on the OWOH image on my right side bar to get more info about the event and see all the great folks that have joined. My name is Jennifer and I have a passion for felt, specifically eco felt. Eco felt is made from recycled water and pop bottles. I make all kinds of plush dolls and softies. I also make art dolls from felt too. I love anything super cute but also enjoy the odd and slightly twisted too, like zombies, I love zombies. I'm a huge Dr. Who fan. I have a grown up son and a college age daughter, also a cat and my third child is my chihuahua Carmelita. I made a special fat penguin for this event. As you can see she has a lovely red heart. There is also a smaller heart on her backside. This penguin is about 9.5 inches tall (25cm) sitting and 11.5 inches tall (29cm) from the feet to the top of the head. A nice hugable size plush. If I get enough entries I'll add some more prizes. All you have to do is have a blog of your own to enter. Then just comment on THIS post with some way to contact you. Please just leave ONE comment. A winner or winners will be picked on Feb 17th. Thanks so much for joining in on this great event and stopping by to say hi! Hi! What a fun blog! I LOVE THIS PENGUIN!!! Sooooo cute! I need it! Please enter me and visit my blog too! Oh Please throw my name in the pirate's hat! that is such a precious penguin! greetings from snowy new jersey, where that penguin can feel right at home with this weather we're having! Wow Jennifer, Your little penguin is so, so Cute. I LOVE him/her. Please, please count me in. Pop by my blog for your chance to win also. So cute! The fact that I could be the proud new owner if my name was chosen is a thrilling prospect. Hope you are enjoying the event! This penguin is just adorable. Count me in to win. thanks for a chance to win a sweet penguin. please come visit my blog if you get a chance!!! Super cute penguin, and the Pirate Hats ARGH great! So glad OWOH brought me here! So cute! I love the heart, her cute eyes and cutest wings. Your blog is full of cuteness and I just have to follow you! holy cow love your work.. the frida doll rocks! Love, Love, Love your penguin!! I hope you'll stop by my blog, ART of Humungous Proportions and enter my draw too. Have a wonderful week of surfing with friends!! I dont think the last entry worked so I am trying again! LOL ( Only count me once!! sorry! So adorable! You do beautiful work. Please enter my name in your drawing. oh your penguin is so cute!!! happy owoh! Greetings from Australia, I hope you are enjoying OWOH ,Great penguin and lovely blog! I'm signing up to follow. I love your "hearty" penguin. What a gorgeous penguin I am sure she would love to live with me. I would love to win this. It's so adorable. Love your Garden owl! Please count me! Hello Jennifer, that is certainly the cutest felt penguin I've ever seen! Nice to meet you. So cute! I enjoyed visiting your blog, and I hope you will visit mine, too (#307). This can be made from water and pop bottles? Amazing. She is darling! Cool blog, I like all of your felt goodies. The penguin is adorable! Oh I love your blog...darling penguin....please stop by my blog....I too am in the owoh. Ah, he's a cutie, please include me in this giveaway! Ah! I love your blog! The penguin is adorable and I am off to check out your shop. Cute! My little girl would love that! This little guy is just way too cute! Your work is adorable! That is such an adorable penguin! Hi Jennifer, nice to meet you. Your penguin is fab - I think I can hear him calling for me - lol. I'm having so much fun on the OWOH! I love your blog and I'm so happy to meet you! Hope you have a most wonderful and happy day! Hugs! OOH I love penguins! Your prize is SOOOO cute! Would love a chance to win, please enter me. Hope you have oodles of fun during OWOH. I've enjoyed it so much over the years. Thanks for your generosity and participation in the event. Love your creativity. Count me in please. Visit me at #336 - Shimmer and Tulle. I never knew Eco felt existed but I love that it does and I love that you use it. A big thanks from the Greenie in me! That is so pretty. My daughter loves little stuffed friends. Please enter me in your giveaway. Thanks. This penguin needs to come here to live with me! Please come by my blog and my OWOH giveaway as well. I'm #590. I'm snowed in here in Northern Iowa too! Love the penguin...my little guy would go nuts over it! So cute! I love following you on the Hive. Flying from France... please add me in your draw and do pop over to see my giveaway at #218. How cute is that penguin!? Squee!!! I'd love to win her! What a great giveaway gift! I am involved in OWOH for the first time. It's great visiting different blogs and finding so many talented people! So Darling. Please include me in your drawing. this is adorable... Love it! What an adorable penguin and who doesn't love penguins! Please enter me to win. what a cute little penguin.I am so excited to participate in my first OWOH blog tour . Your creativity is lovely. I hope I am lucky enough to win. That Penguin is such a cutie! I'm sure my girl will love it.. and it's in PINK! count me in! Thanks for stopping by my blog! I love your fat sassy penguin! I am going to havr to look into Eco felt- I had never heard of it! I love your penguin..I would love to have it come live with me. I have worked with felt too, but never Eco felt, so will have to check that out. Please stop by at Irish Muses #678. Count me in! Stop by #358 and enter my OWOH! Hi Hon!!! How are things?? What a sweet penguin..you know I soooo want him..so sweet!! Come on by and add your name to mine too hon!! Ciao! I am so happy to meet you today on the wings of OWOH! Thanks for a chance to win your sweet penguin!! The penguin is so sweet! Please include me in your giveaway. I hope you can stop by my blog at #331 and enter my giveaway, too! Happy OWOH to you--stop by for a little visit if you get the chance, I'm playing along, as well! Adorable penguin!! Love her! :) Shooting stars to you from Wisconsin! Visit me at #517! He is such a sweetheart! I love felt, too...it's just so eager to become whatever we can dream up! Thanks for the chance to welcome him home...heehee! Hi Jennifer. It is so very nice to meet you. I would love to have a chance to win your little penguin. She is absolutely adorable! Please throw my name into the hat. I hope that you come on over to my blog for a visit, I would love to see you there. I am #78 on the OWOH participant list. Hi, I'm a tatter in Singapore. Thanks for the giveaway, the penguin is so cute! I won an adorable penguin last year, but she could sure use a buddy. Too cute! Your blog is a delight! I enjoyed looking around. I love the cute penguin you have chosen for us, too. I'm number 11 and hope you drop by. My contact information is on my profile page. 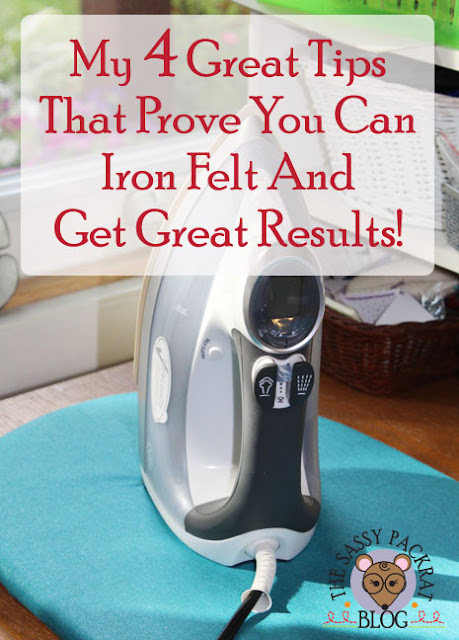 Great blog glad i found you through OWOH would love that cute little penguin ! Hi Jennifer! I love your fat penguin, right down to his detailed eyes, I love zombies too! adorable little penguin! please enter me in your giveaway and come enter mine! Your giveaway is so cute!!! I would love to win something so adorable! Greetings from Pennsylvania! Thanks so much for visiting my blog - it's great to meet you. Please enter me in your wonderful drawing - LOVE LOVE LOVE the penguin! Greetings from Massachusetts! Love your blog! That penguin is just too CUTE! Thanks for the chance to win. Oh what cuteness! I love the color of him. Please put my name in your hat and come over to my blog #348 and toss your name in my hat if you wish. Thanks and good luck! Hello from Oregon! Thanks for allowing me to peek around in your blog and join in on your giveaway. Your penguin is so stinkin' cute! I love the idea of the heart on the backside! Thanks for the chance to win. OMG I'm in love!!!! I NEED him! hehehehe. Super freaking cute! I've been following your blog for a while now (Dr. Who! Yeah!) but I have to tell you I must have your penguin. I hope I win it! Thank you for entering my OWOH giveaway, too. Your stuff is very cool. The Penguin that you're gifting needs to come live with me. We are the same shape - and she has big wide feet like me too! I'm now a blog follower, and I've fav'ed your Etsy store - does this mean I'm a "cyber-stalker"? This little guy is Sooo Adorable. Your work looks so perfect. I'd give him a happy home, my dollies would keep him company. Adorable, I 'Heart' it :) I'm pleased to meet you (I'm Shelle from Sunshine Coast Australia) If you have time (I don't think I've seen you visit, but could be just dazed from dancing around the world LOL) I'd love you to come on over check out my giveaways & comment at my OWOH post too :) oh & please feel free to drop in now and then after OWOH if you're in the bloggersphere :) that'd be cool! Now let's enjoy this hurly burly wonderful One World One Heart EXTRAVAGANZA :) There's lot's more blogs, I feel like I'm in a marathon LOL!! Up, UP & AWAAAAAAY!! Long time, no see! LOVE your adorable penguin. Thanks for participating in OWOH 2011. Hope you get a chance to pop by my blog, #51. You have an awesome blog and giveaway. I am having such fun checking out all of the OWOH participant's blogs. Hello from NY. She is oh so cute. Thank you for adding my name to your giveaway. So cute! This guy would make a wonderful companion to my penguin Nermal. Please count me in. Thank you! so nice to meet you through this event. I hope that you'll stop by my blog to say "hi" too. such fun seeing all of the wonderful creativity across blog land and meeting folks from around the world.love your colorful and whimsical style. the penguin is so cute. Greetings from Wisconsin. What nice work you do and I'd love to win that adorable penguin! Please stop on by my giveaway as well OWOH 760. Very cute penguin, please enter me to win your drawing. What a wonderful little penguin!! sharing your blog. Have fun on your blog travels. How sweet. 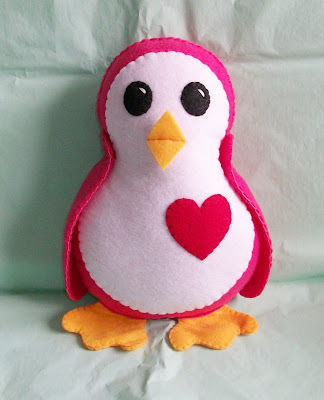 My littlest granddaughter loves penguins...she would love snuggling with your little prize. thanks for being a part of OWOH so that we could find you! i'm enjoying your blog this afternoon and look forward to spending a lot more time here! thanks, too, for a chance at winning your wonderful little penguin! i hope you will have a chance to stop by my blog and enter my give away, too! I looove penguins - I have a bed ready for him already!!! LOL!! 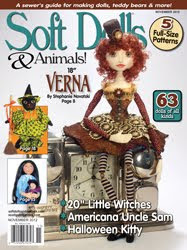 What a great blog you have - your felting is very special!!! Adorable offering! Please enter me into the OWOH give away. Also, I hope you can visit my blog, too. I'm giving away a shabby chic denim necklace. Come chat any time. love love love your penguin! Hello from England :) I love your penguin! Please count me in and visit my giveaway! Your little penguin is adorable (and even cuter since made with recycled products!) How very cool indeed! Adorable. The penguin would get hugs from my daughter. Hi Jennifer, I would love to win your beautifully handcrafted fat penquin art project. How sweet! Please visit my blog, too. I am the author of "16 x MOM: A Mastery of Motherhood." I am giving away my book and a couple of laminated 4 leaf clovers. Fingers crossed for the penguin for me! She's precious! He is sooooo absolutely adorable. He warms the heart even with his chilly little flippers. Hello dear. It is so very wonderful to meet you and take a lovely walk through your blog. I have enjoyed the visit and would love to be entered into your OWOH giveaway. So Exciting. Please do drop in for a visit with me during your journey. It would be lovely to have you. Hi, on the last day of the OWOH-tour I try my luck. Your penguin is really adorable! Sorry, kinda spaced out there for a few when I saw the TARDIS on your banner (which looks awesome btw). That little penguin is so cute. This is SO SWEET!!! Please count me in! Your penguin is too cute! I've added your etsy shop to my favourites :)Please enter me into your draw-- thank you so much!